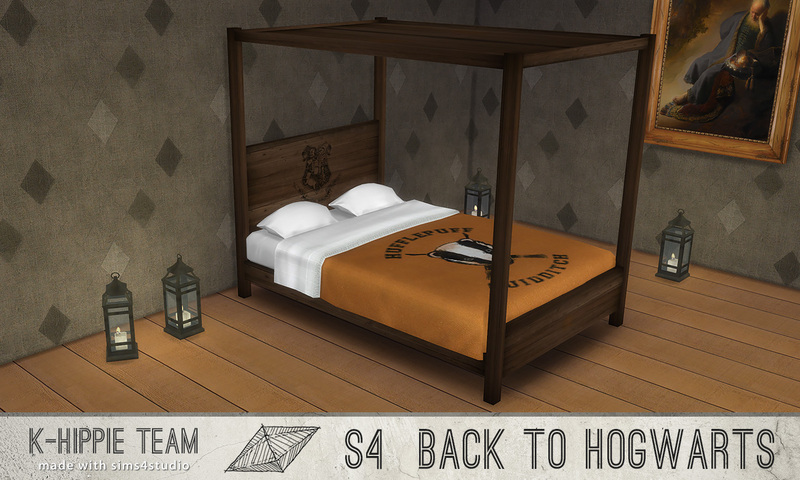 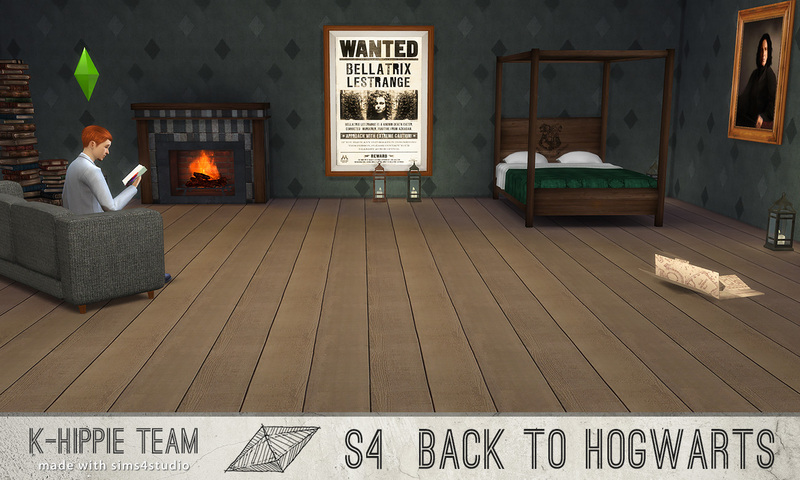 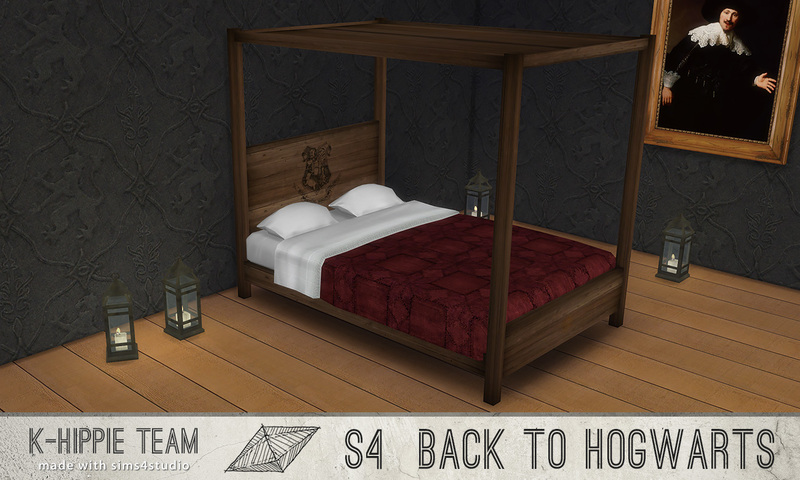 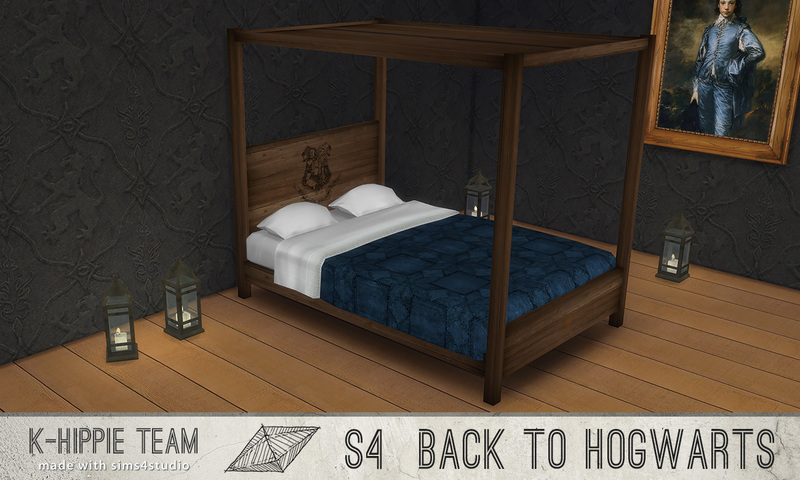 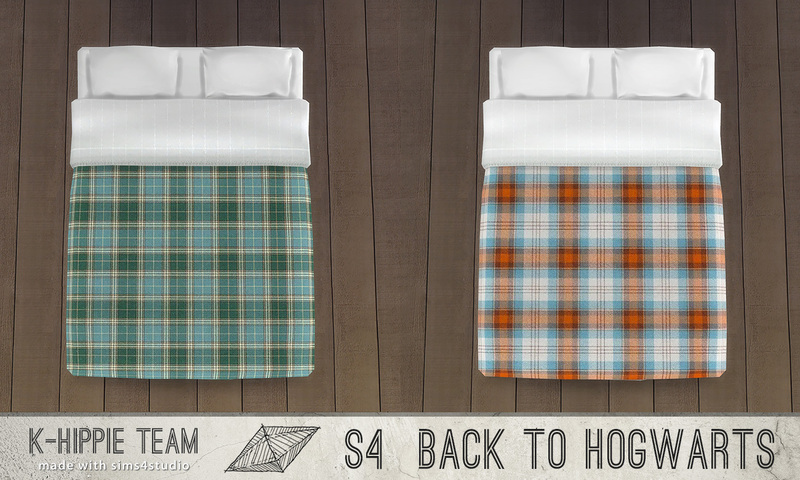 To celebrate a milestone of 1 700 followers on our simblr, we made a set in theme with back to school ambiance : Back to Hogwarts ! 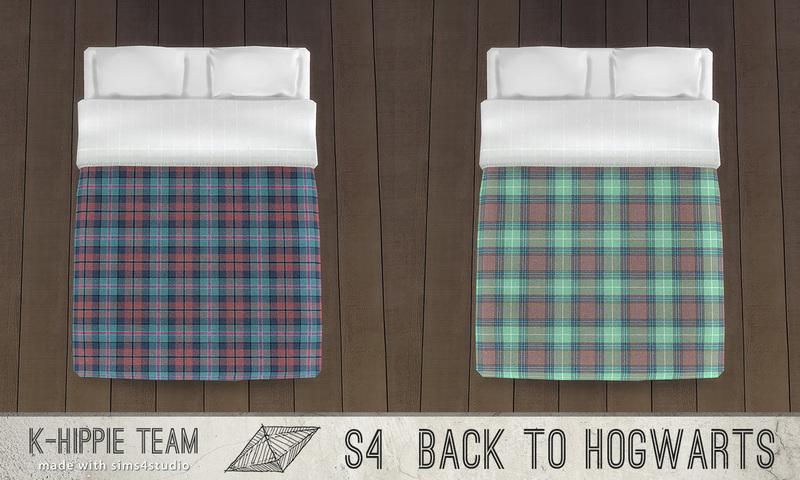 How could you not have a bedding of your house ? 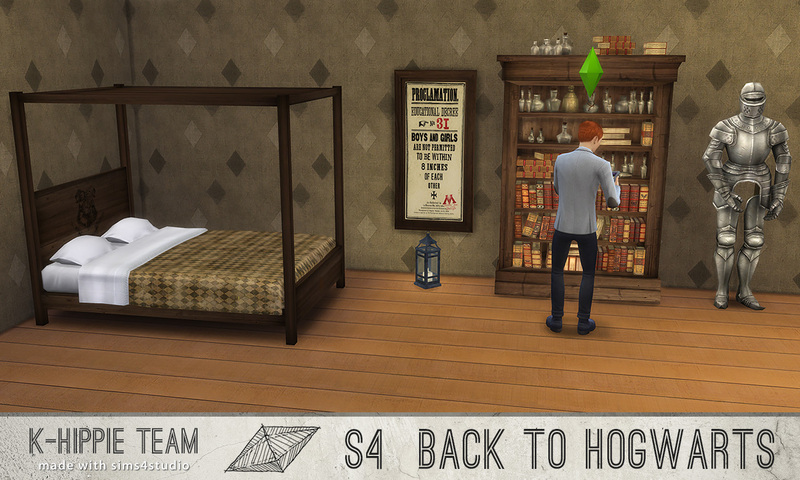 Well ... yes, you might be married and it might be a problem. 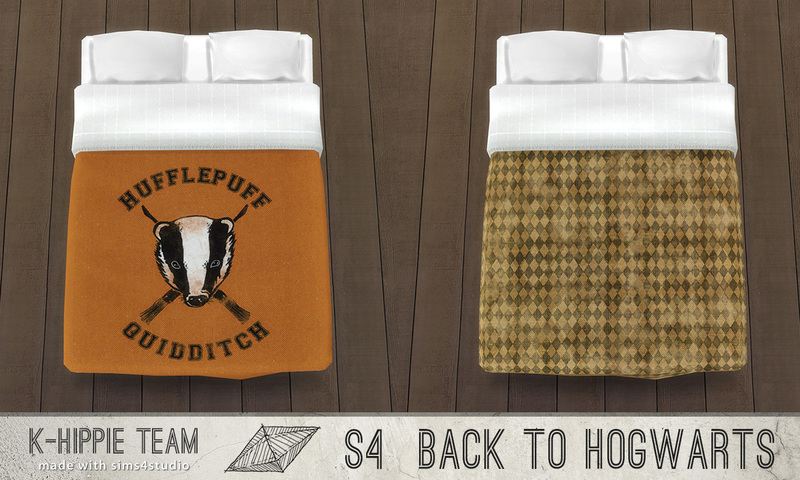 You might be in the muggle society and need some discretion. 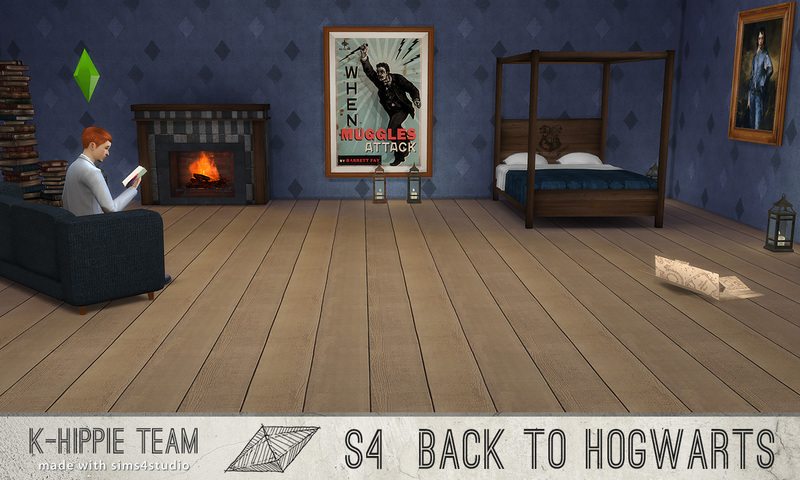 You might want to pass it on your own children, in case they are wizards/witches. Pick your house or any other if you prefer and show your colours ! 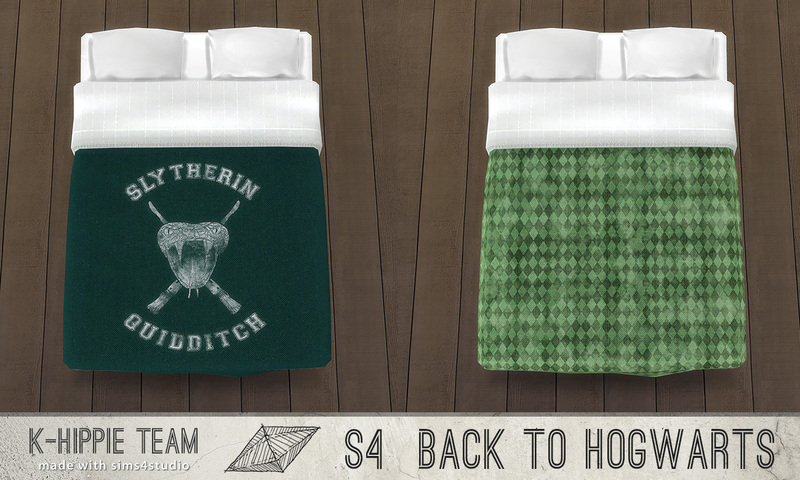 With discretion or loudly with special Quidditch blankets ! 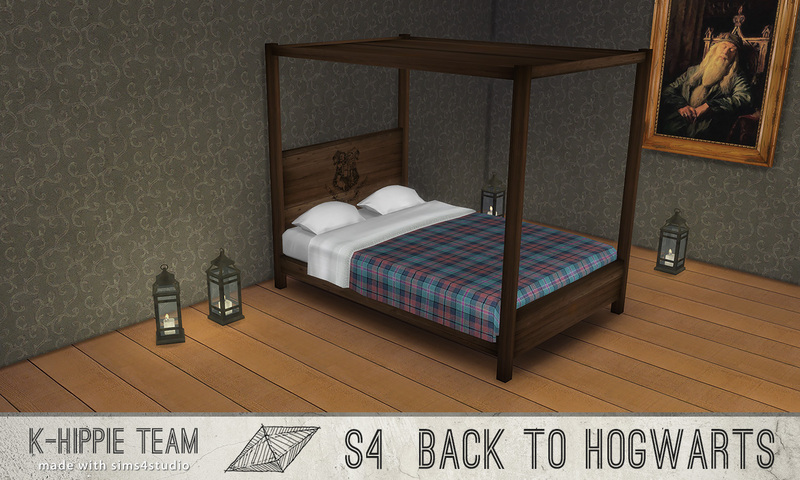 The story says the two friends went to Madam Malkin's and bought every tartan patterns they found, they wanted to make a statement : Hogwarts was once again home for hundreds of children. 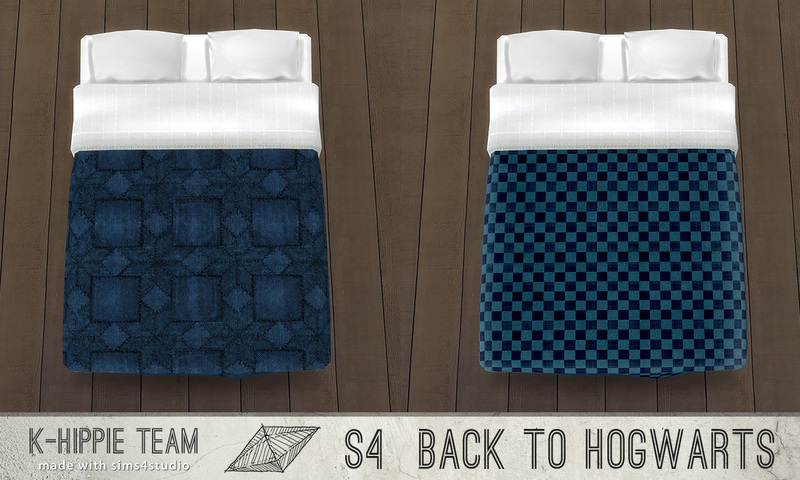 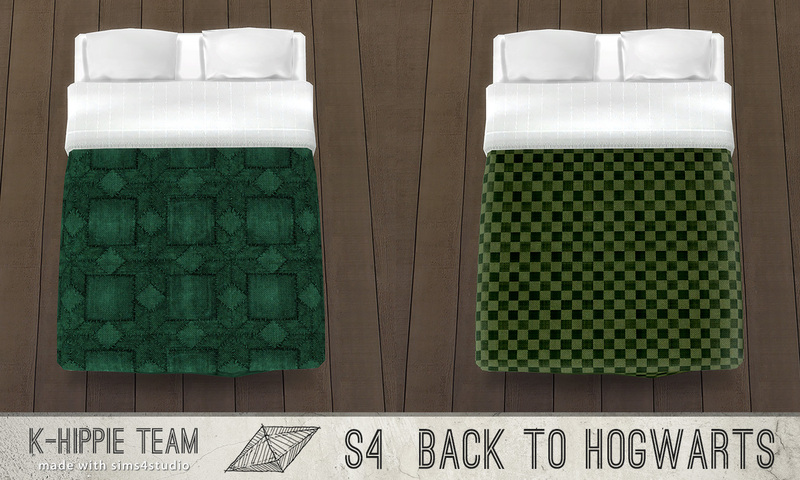 k-hippie-k-hp-hogwarts-4houses-beddings-serie1.package.7z | Description: Do NOT download. 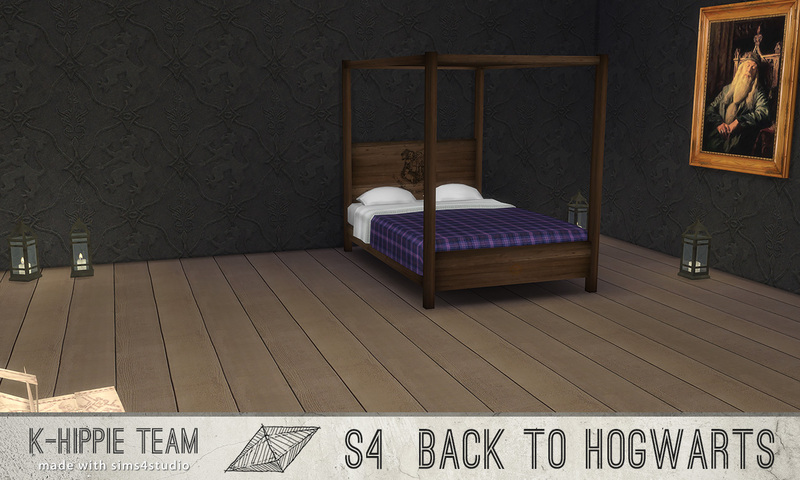 Obsolete. 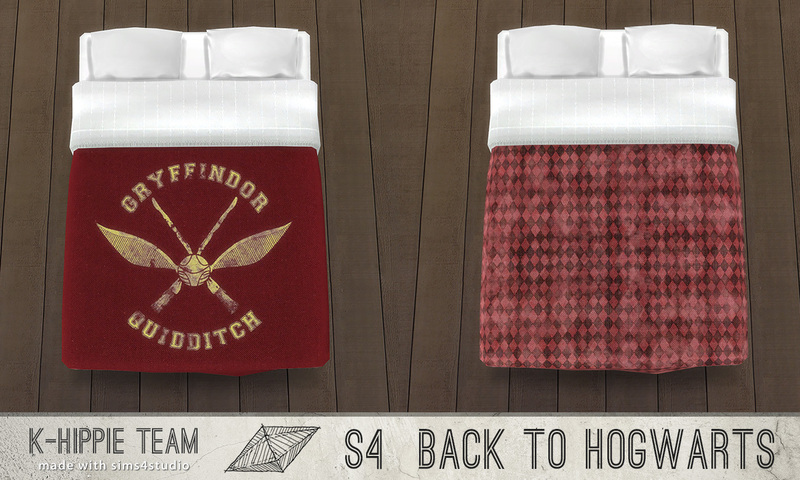 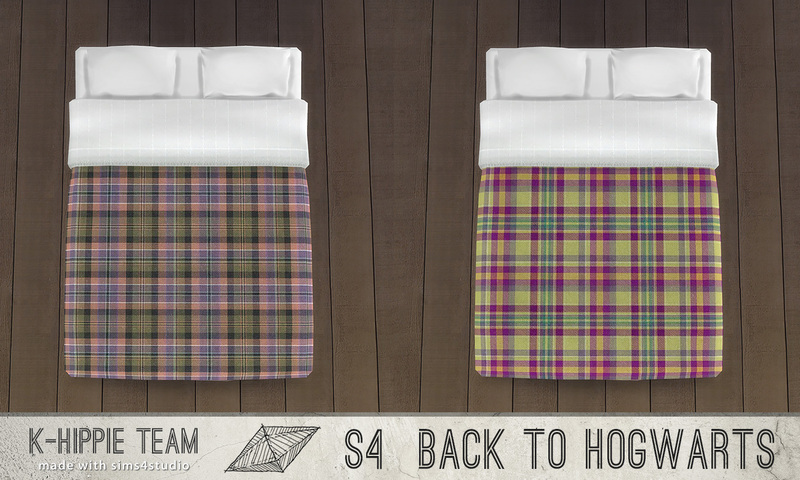 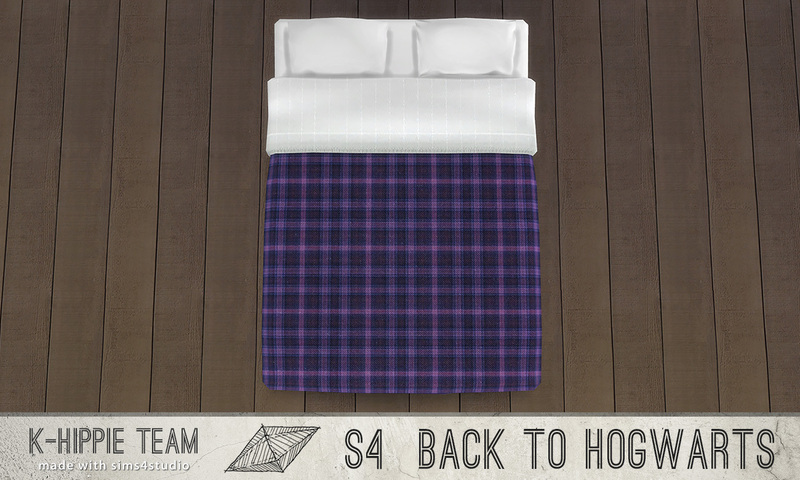 k-hippie-k-hp-hogwarts-scottish-beddings-serie2.package.7z | Description: Do NOT download. Obsolete.